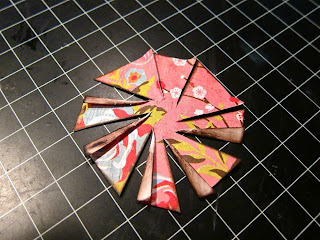 Hello, PMB friends, this is Michelle here for the last time this month sharing projects from June's Cherry Blossom kit. All my project thus far have not been cards, so I decided I'd better make one before I got fired from a card kit team. So without further ado, let me present to you this sunburst card. When I was looking at the Japanese designs in the collection, I was imagining a Japanese sunburst, so I decided to recreate that look. I drew out a sunburst image on a piece of scratch paper, numbered each piece and cut it out. 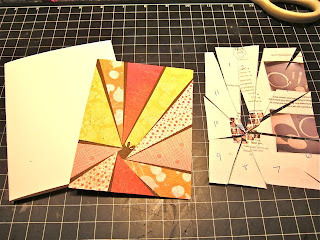 I traced the pieces onto scraps of patterned paper, cut and assembled the pieces onto a cardstock base. I left a space in between the pieces to delineate the rays. The point where all the pieces meet does not have to be neat as it will be covered. At this time, I machine stitched along some of the rays. For the central sun, I made a modified pinwheel by starting with a 2.5 x 2.5" square piece of patterned paper. 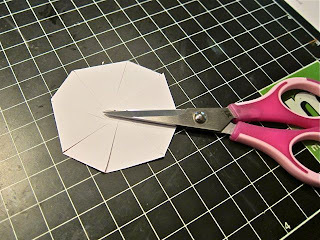 I then trimmed off the corners which made the square into an octagon. I cut slits from each vertex towards the center, but not all the way. I folded the slits along the edge so you can see the white from the back side of the paper. I thought this continued the look of the sun's rays. 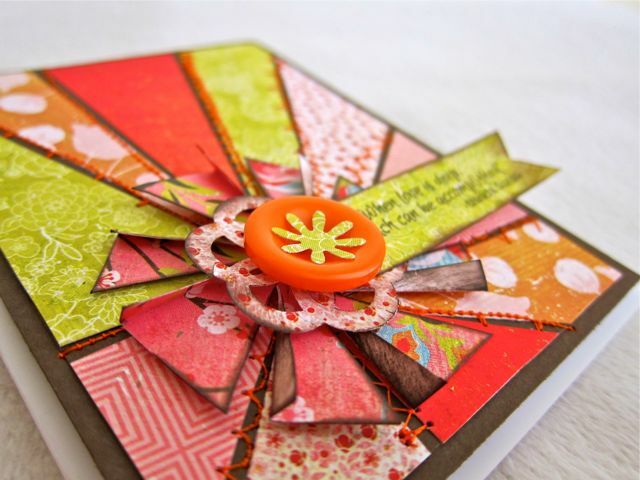 I layered the pinwheel with some punched flowers, a button and the sentiment strip. This was such an inspiring kit to work with this month. I hope you enjoyed all the projects that have been and will be revealed. 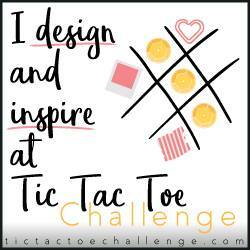 Make sure you join the DT for July's reveal of the next kit and blog hop which is rapidly approaching. This is wonderful...love that stitching! WOW!!! 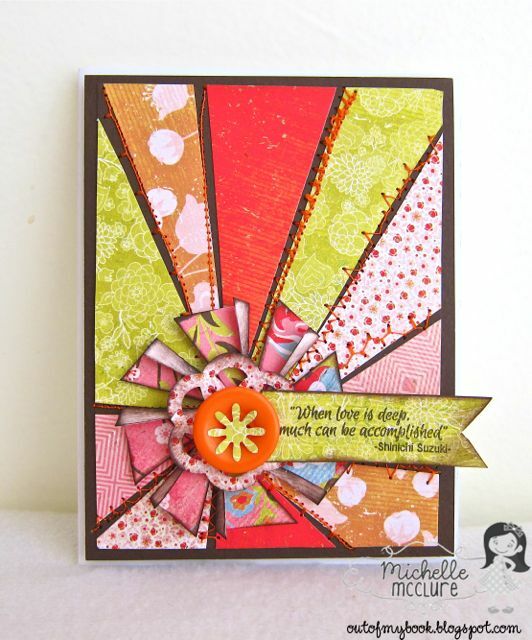 I am IN LOVE with this Michelle! I loveeeeeeeeee the rays!!!! Hardly possible to "fire" such a creative genius! :-). 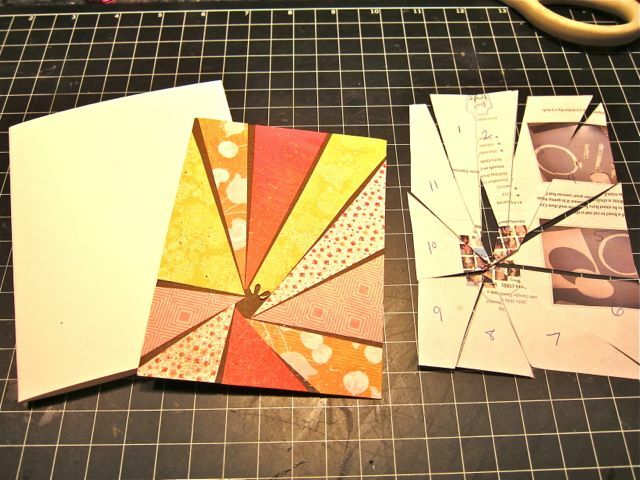 This is a great design...and tutorial! Thanks for sharing!! Very cool! Love the layers and the pretty colors. I absolutely LOVE this card! Gorgeous! This card is gorgeous! Thanks for the tutorial! Wow! Stunning. Love how bright it is. I love everything about this ~ it's amazing! Fun!! 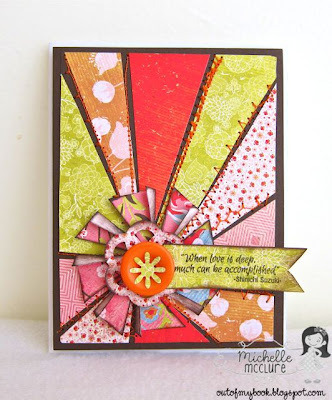 I love the look of the sunburst and this was done very well!! Thanks for sharing! !